Taste Your Roots catering is designed to help support and nurture community events such as weddings, birthdays, healing retreats, festivals and various conscious gatherings. These lovingly prepared meals are specialized around meeting the dietary and health needs/desires of the participants as well as including and encouraging a connection to the local foods and cooking traditions in the area. Most of the meals are vegetarian with gluten free, raw and vegan options. Sustainable meats and particular dishes are included upon request. 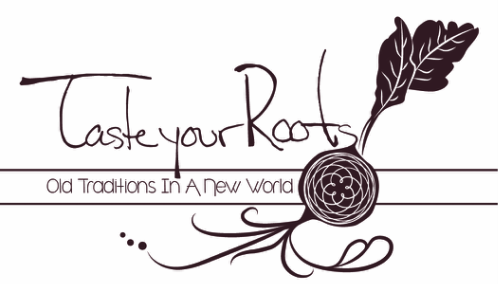 Taste Your Roots has catered for retreat centers and events all over the world such as America, Italy, France, Australia and Thailand. Please refer to the contact page to request any estimates or for more detailed information regarding catering. Menus vary according to country and season and the type of event Taste Your Roots is curating. This is to give you a feel for the energy and style of the food offered. These meals are focused around using local, organic and seasonal foods and are a mix of Mediterranean, Californian and East and South Asian flavors. Gluten free and vegan options avaliable. Miso rubbed salmon baked with lemons and served with sweet potato mash, roasted broccoli, black quinoa and purple cilantro coleslaw vegetarians get smoked mushroom patties. Fajitas with sautéed bell peppers, onions and mushrooms served black beans, rice, grilled Tri Tip, tortillas, homemade salsa and lime sour cream. Green salad on the side. Veggie and turkey polpetinis (Italian style meat balls) with roasted Brussels sprouts, carrot butternut squash puree and a green salad. Balinese Coconut Curry with Lemongrass, keffir lime leaves, pumpkin, carrots, cauliflower, string beans, chicken for meat and tempeh for veg cooked in a rich spiced coconut cream served over mixed grain or fresh dark greens. Ginger turmeric carrot butternut squash soup topped with a parsley cashew cream, sour dough bread, assorted cheeses, humus and a mixed green salad with a sesame seed vinaigrette. Pesto pasta with kalamata olives, artichokes, sun-dried tomatoes, fresh basil pesto, and cherry tomatoes served with a side salad and a raspberry dill balsamic vinaigrette. optional chicken for meat and extra veggies for vegetarians. Fall Wraps: Salad or Sandwich wraps with turkey, cranberry, lettuce, tomato, onion, cucumber, humus and tahini. Served with a side salad and organic kettle chips. Hearty chili with butternut squash, sweet potatoes, red, black and white navy beans topped with spring onions, sour cream and fresh baked cornbread with a side of honey butter and a green salad . Meat eaters get organic grass fed ground beef veggies get ground tempeh or seitan. Mediterranean lentil salad with tomatoes, cucumbers, basil, parsley, olives and roasted sweet potatoes served with a side of Baba Ganoush, humus, tahini, feta and a medley of veggies, crackers and pita breads. Tuna or veggie melts with vegan and gluten free options paired with a creamy tomato soup and a side salad. Chia Superfood Bowls packed with fresh fruit coconut milk, maca, cacao nibs and sides of peanut butter, almond butter assorted seeds and nuts and soft boiled eggs for protein. Shakshuka Israeli breakfast of sautéed bell peppers and onions in a rich tomato sauce with poached eggs and fresh bread for dipping. Vegans get a separate cooked veggie medley with alternative protein. Gluten free bread available. Rosemary veggie hash with potatoes, sweet potatoes, zuchinni and garlic served with scrambled eggs, turkey bacon or smoked tempeh bacon. Freshly cut melon on the side. Sprouted Farro grain cereal cooked with hemp seeds, coconut milk, flax meal and maca served with fresh fruit and a banana coconut cardamon sauce. Soft boiled eggs, yogurt and nut butters on the side. Huevos rancheros breakfast of black beans, sautéed veg, corn tortillas and eggs served with avocado and bacon. Vegan option available. Mediterranean veggie scramble with mushrooms and onions, spinach and roasted tomatoes served with side of feta, toast bar and fresh fruit. Vegans get egg free version.